Hopkinton Public Library Groundbreaking Ceremony to be held Friday, March 11, 2016, at 10 a.m. The Hopkinton Board of Selectmen and Hopkinton Public Library Foundation invite you to the Groundbreaking Ceremony for the much anticipated restoration, renovation and expansion of Hopkinton Public Library. The Ceremony will be held on Friday, March 11, 2016, at 10 a.m. at 13 Main Street, Hopkinton. The Groundbreaking is the culmination of many years of hard work by numerous members of the Hopkinton community. The Board of Selectmen, Permanent Building Committee, and Hopkinton Public Library Foundation wish to thank the incredible number of residents who supported improving our Library; the many residents who provided invaluable feedback on the design of the renovation and expansion; and the hundreds of groups, businesses, families and individuals who have contributed to the community’s goal of privately raising $1 million to defray the cost of the project (and have helped reach the milestone of raising $750,000!). Constructed in 1895, the original two-story gothic stone building measured 1,500 square feet and cost a total of $14,035. Hopkinton Public Library was renovated and expanded only once, in 1967, when it was joined with the adjacent Episcopal Church, bringing the library to its current size of 5,783 square feet. Today, Hopkinton has a magnificent design to restore, renovate and expand the Library. The new, three-level building will be state-of-the-art, accessible, and environmentally friendly; yet maintain the character of the original, historic Library. It will provide space for community gatherings, a learning lab for adults and students, and spacious, age appropriate Children’s and Young Adult sections. 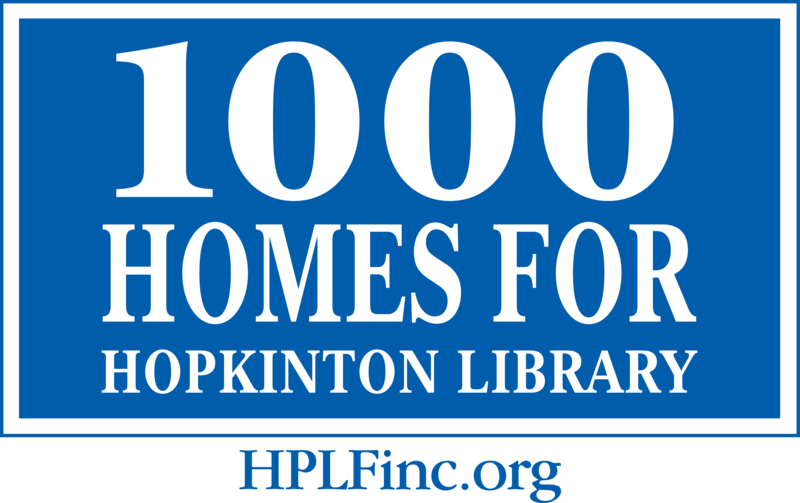 Once completed, Hopkinton Public Library will provide a modern, accessible facility that meets the current and future needs of the community for generations to come. Please join us to break ground on this momentous project for our community! For more information, such as the history of the project and the plans for the new library, please visit www.HPLFinc.org.